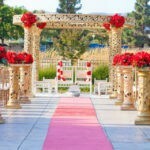 Umbrellas are a very versatile item that you can use in very different ways at a wedding. 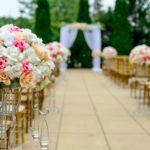 One idea is to use them as a centerpiece, from a more romantic touch with lace umbrellas to a more tropical touch with paper or decorated umbrellas . Another idea is to hang them. Be it a corridor decorated with hanging umbrellas, the track or hanging up some tables. Tmb you can hang flowers to make it look more beautiful or if there is a lake you can put some in the water to make it look more decorated. 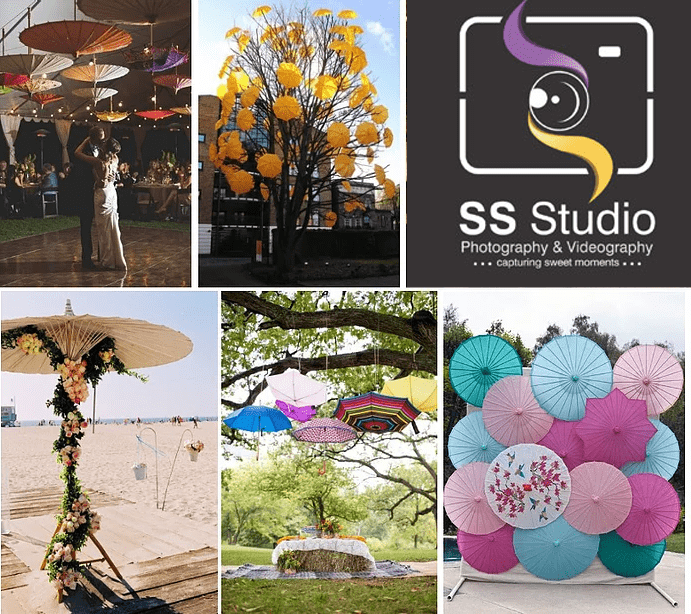 Finally you can even decorate a tree, make a wall of umbrellas and use them as a backdrop for photos or as a background for the wedding table; or decorate them with lights and flowers to make it look more romantic. 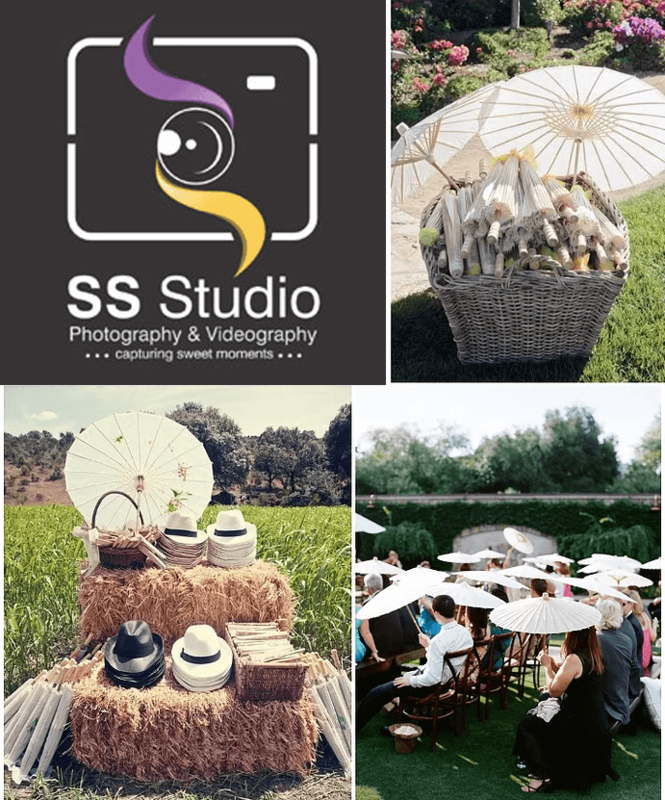 On the other hand, if your wedding is in a very hot place or a lot of sun, your guests will appreciate not having the sun on your face all the time, so gift souvenirs umbrellas , fans or sunglasses is an idea very Useful. In short, imagination is the limit and you can always find ways to incorporate items such as umbrellas in an original way to your event.